These cookies are the best oatmeal chocolate chip cookies ever! They’re thin and chewy, a little spicy, and absolutely loaded with chocolate chips! Hello again! It’s Kristine from Kristine in between! Since school is official out for simmer and the temperatures here in Arizona are skyrocketing into the triple digits (oh yay! ), we’ve been spending a lot of time inside, at home. And since I’ve been home a lot, I’ve been baking a lot! So, I’ve got another scrumptious cookie recipe for you today. 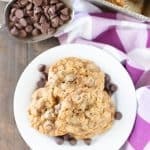 The best oatmeal chocolate chip cookies ever! But once I got over it and actually ate an oatmeal cookie, I was in love! …I headed straight for the kitchen to whip up my own unique oatmeal cookie. This recipe is dear to my heart. 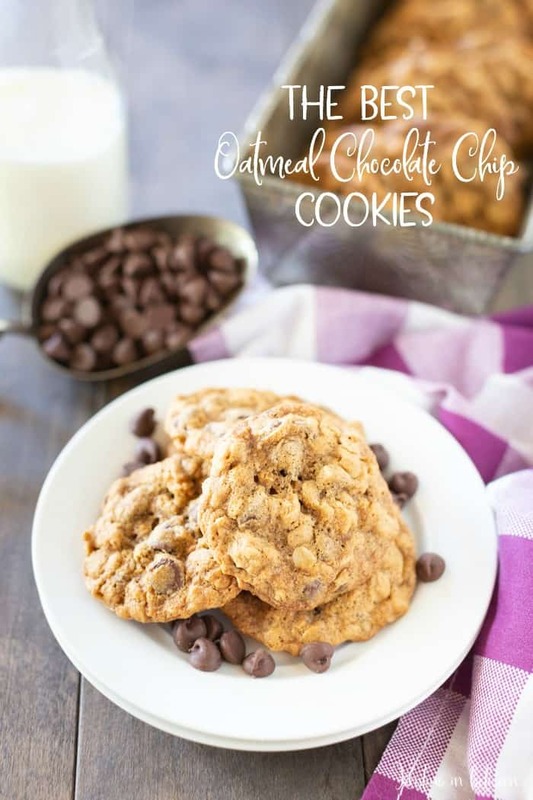 There are so many great things about it – I mean they are called the best oatmeal chocolate chip cookies for a reason! As with most of my cookie recipes, you can make these cookies in one pretty good size bowl, which really cuts down on the mess factor. And this recipe makes about 2-1/2 dozen cookies, which is enough, but not too many, but it can also be easily doubled if you need more cookies. And the cookies! 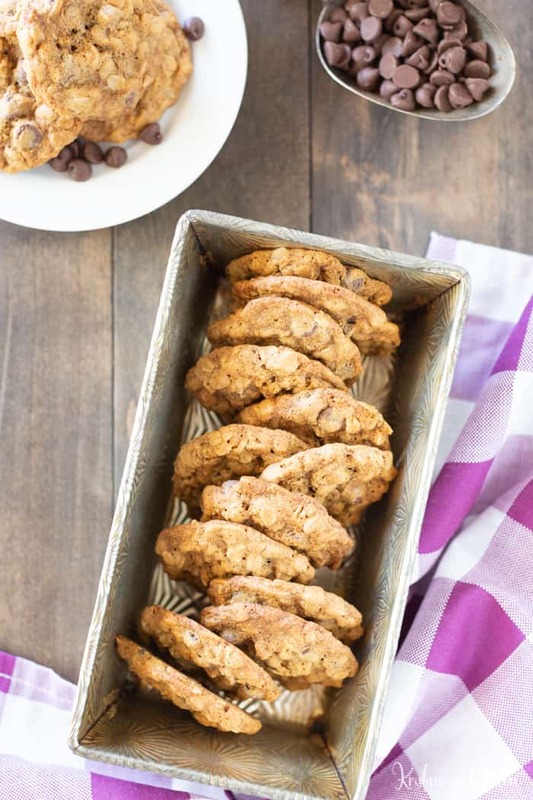 The cookies are oatmeal cookie perfection; thin and chewy with a nice pop of flavor from the chocolate and the molasses, and then there’s a hint of spice from the cinnamon. YUM! The cookie edges turn slightly brown while they’re baking and cool off to be perfectly crispy, but the cookies are soft and chewy in the center. They. Are. Glorious. Rolled oats (not quick-cooking oats). Semi-sweet or dark chocolate chips (whichever you prefer; I used semi-sweet). Always cream the butter and the sugars fully first; then add the rest of the ingredients in order. You can substitute raisins, walnuts, or cherries for the chocolate chips if you’d like to or just add them in addition to the chocolate chips. The cookies bake up the best when they are baked on a completely cool cookie sheet. If the baking sheet is still warm, the cookies start to melt before they make it into the oven and this can alter they way they come out. After baking, the cookies need to sit on the pan for at least 5 minutes before you try to move them or they will break. These cookies freeze great, but I wouldn’t recommend freezing the dough. 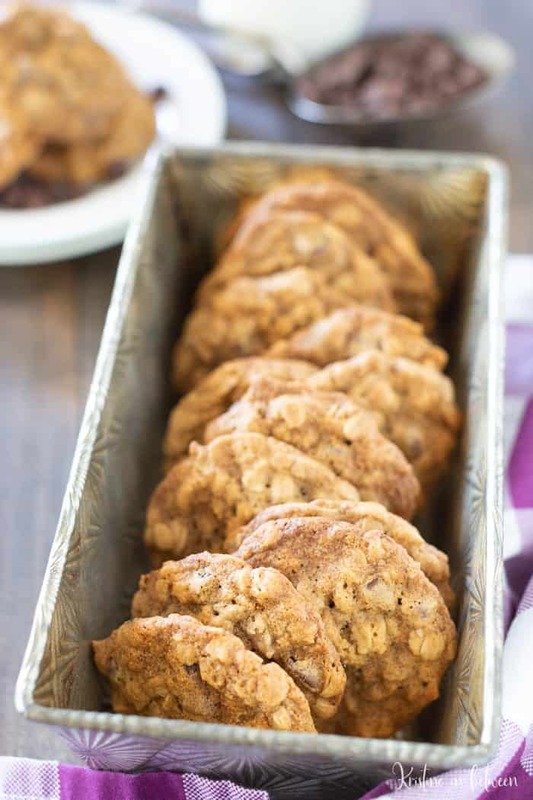 If you love oatmeal cookies, I’ve got few other good ones for you! These classic oatmeal cookies with raisins are the bomb and these oatmeal walnut cookies are so good, I make every Christmas! And don’t let me forget these huge monster cookies, which have oatmeal in them (it totally counts!). See, I told you – I’m hooked on oatmeal cookies! You’ll definitely want to try them all! 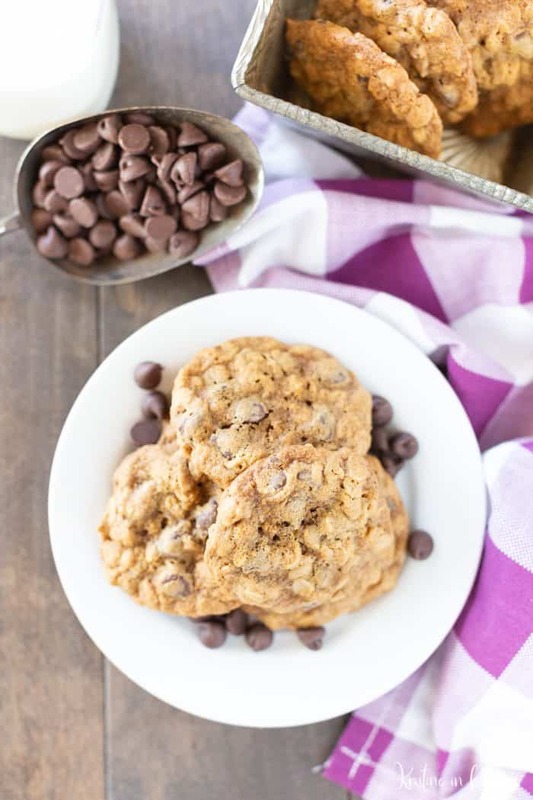 This is an easy, one-bowl recipe for the best oatmeal chocolate chip cookies! The cookies are thin and chewy with perfectly browned, crispy edges. 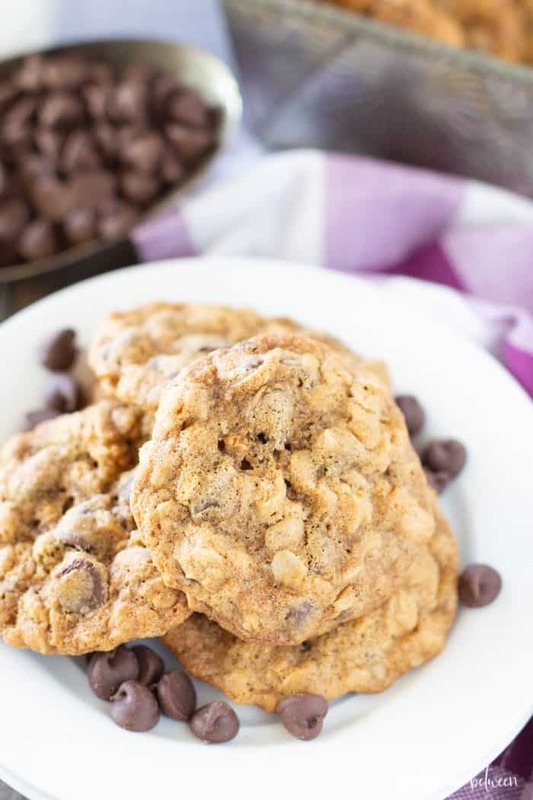 An easy, one-bowl recipe for the best chewy oatmeal chocolate chip cookies! In a large bowl, cream butter, brow sugar, and sugar together until smooth. Stir in baking soda, sea salt, and corn starch and mix fully. Add egg, vanilla extract, and molasses and stir. Using a 1 TBS cookie scoop, scoop dough onto prepared baking sheets, 2 inches apart. Let cookies cool on the pan for 5-10 minutes before transferring to a wire rack. *Use a completely cool baking sheet to bake cookies. **The cookies will be too fragile to move right out of the oven; allow them to sit on the baking sheet for up to 10 minutes before moving them to a wire rack. Hi there! 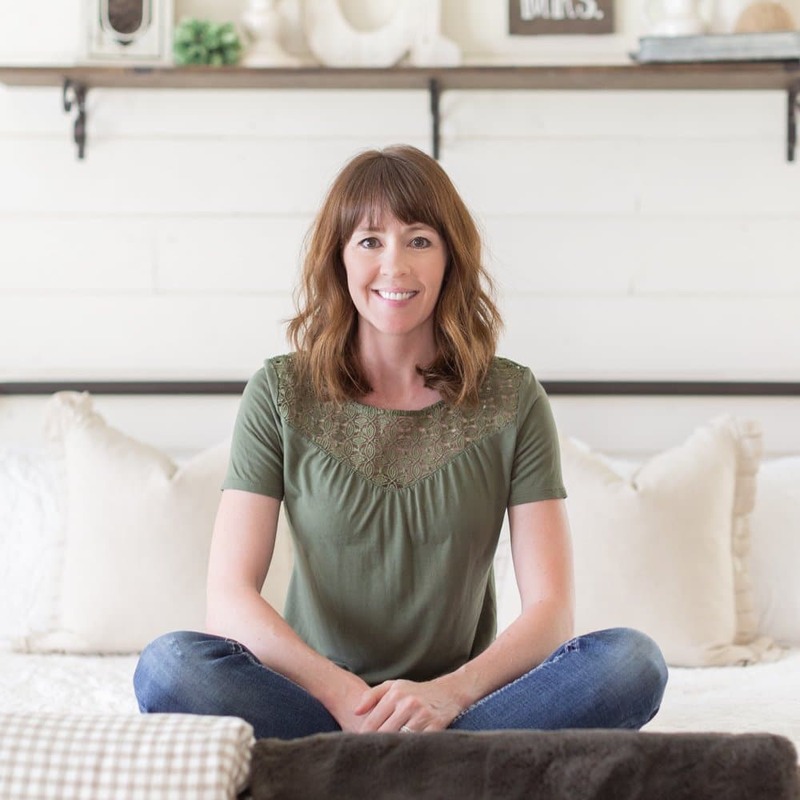 I’m Kristine the cookie lover, photo taker, and weight lifter behind the lifestyle blog, Kristine in between. I believe in finding balance between health, happiness, & lots of homemade cookies. Stop by and say hi sometime!